The Piedmont Crescent of North Carolina, which includes the Triangle, Triad and Charlotte metro regions, is one of the fastest growing areas in the country. Over 60% of the state's population resides in this 33-county region. 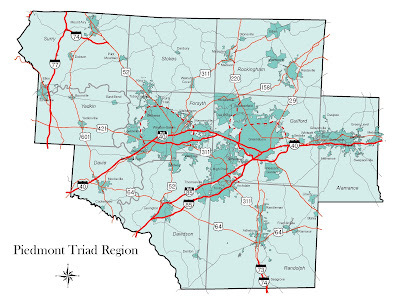 Between 2000 and 2010, our own Piedmont Triad Region grew from 1.4 million to 1.6 million people. During the same time period, the urbanized counties of Forsyth and Guilford grew from 730,000 to 845,000 people. As a result, more than half of all people living in the 10-county Triad area now live in Forsyth and Guilford Counties. 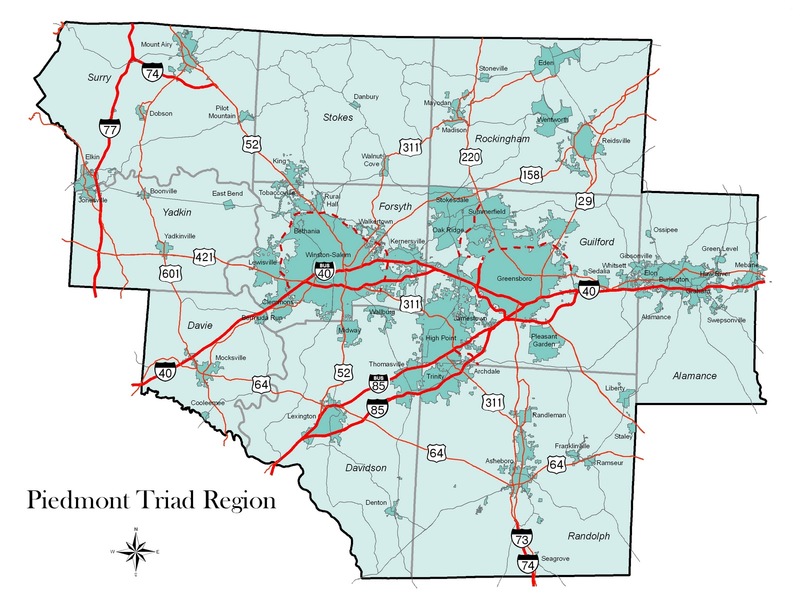 By 2030, the population of the Piedmont Triad is projected to exceed two million people, and much of the new growth is expected to go to Forsyth and Guilford Counties.